The Crescent City recently celebrated its largest ever beer festival at the New Orleans City Park Festival Grounds – an unofficial start to the region’s Oktoberfest and a chance for brewers both large and small to exchange ideas and innovations while raising money for worthwhile causes. On Saturday, Sept. 22, the Big Easy hosted its ninth annual NOLA on Tap festival. Founded and sponsored by the Louisiana Society for the Prevention of Cruelty to Animals (SPCA), the event featured beers from powerhouse brands such as Guinness, regional darlings like Urban South and countless local brewers for a thirsty crowd of over 25,000 attendees to sample. The proceeds of the event are used by the Louisiana SPCA for the treatment and care of the animals in their charge. 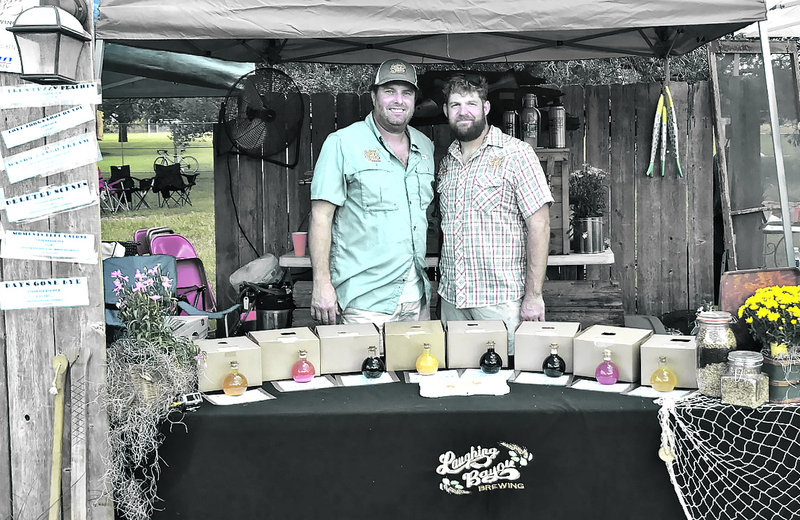 In addition to the scads of suds from over 100 different vendors, local eateries like the Big Cheezy, Dat Dog and Bratz Y’all were on hand to offer perfect pairings for every pint. The Louisiana SPCA also featured a Barktoberfest tent, where pooches could play while owners imbibed. Guillory also expanded on the festival’s benefits. “It has really given us a chance to improve our community relations, not just by being a sponsor of this event but by allowing us to give back to the community,” he said. Guillory explained that Port Orleans Brewing was donating a portion of its proceeds to those battling amyotrophic lateral sclerosis in honor of Steve Gleason, the former New Orleans Saints safety who announced his ALS diagnosis in 2011. “There’s a lot of camaraderie amongst the smaller, local brewing companies. A lot of us participate in NOLA on Tap. We get to exchange ideas, see what’s hot right now and see what’s on the horizon,” said Bergeron. “Each glass comes with a free donut,” laughed Bergeron. For more information on the festival, visit www.nolaontap.org.